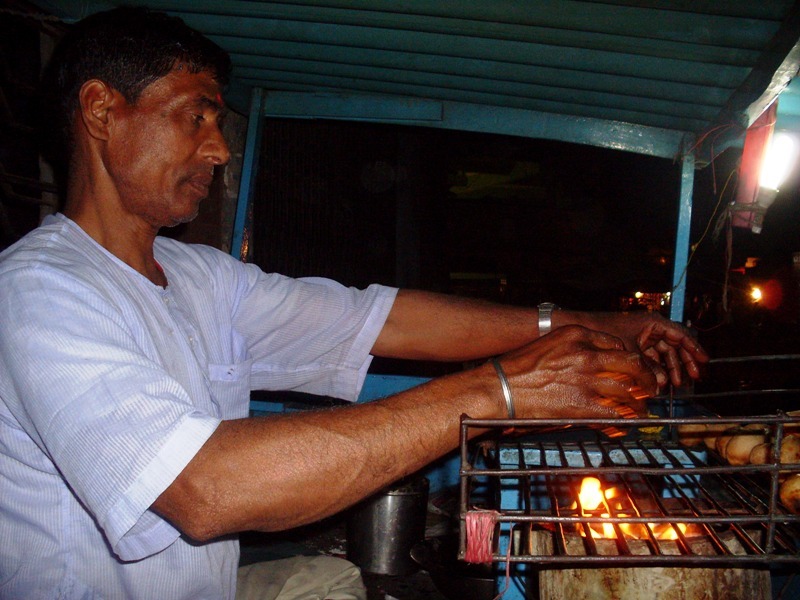 Will You Finally Have Litti-Chokha When It Comes Only As McLitti? This is the dish for all – even for the health conscious generation. It is easy to make, crispy, rich in fibre and low on calorie. 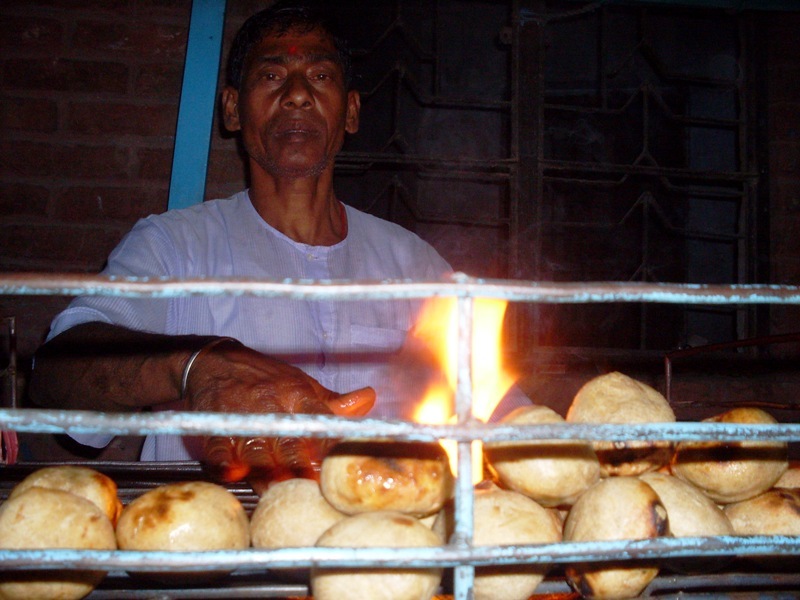 Litti – as it is called in India’s northeastern state Bihar. Both tasty and healthy, litti is more consumed during winters as it keeps you warm 24X7 though you can have it all 365 days, with sauce and mashed eggplant (bharta) and raw onion. Litti is actually a mouthwatering and traditional dish from the kitchen of Bihar and is also popular because of its lasting ability. You can carry this dish to be consumed long after being prepared. It is made up of sattu (which is roasted gram or even chickpea flour) stuffed in dough. Then it is very lightly roasted in traditional clay oven (or even fried or baked in microwave). It can be taken also with different vegetables or mashed potatoes or mashed tomatoes. But dipping a litti in pure ghee before having it finally, is must for some real taste. Well, China has come to know about this dish, and hopefully we are pinning hopes on McDonald’s to also start making McLitti along with their very popular McTikki. I am very very impressed with litti; and let me try sharing the recipe. Ufff Uff Litti – Aah Aah Litti. Wheat flour (aata) – 500 gm; Roasted gram flour (sattu) – 250 gm; Onion – 1 medium size; Garlic – 5 cloves finely chopped; Dry mango powder (amchoor) – 2 table spoon; Thyme (aazwain) – ½ table spoon; Musturd oil – 2 table spoon; Lemon juice – 2 table spoon; Green chilli – 2 to 3 numbers, very finely chopped; Salt – as per taste; Smashed ginger – ½ table spoon; Coriander leaves – two table spoon, finely chopped; Ghee – four table spoon. Mix the flour with ghee and salt – Make a dough of flour using water – Dough must be softly kneaded and left for 15 minutes – For making the filling, mix roasted gram flour with chopped onion, ginger, garlic, chillies, dry mango powder, mustard oil, lemon juice and coriander leaves – Make the stuffing – Make a cup out of the flour dough – Put the stuffing (2 to 3 tea spoon) into the dough and pack well closing the opening of each ball – Make the balls smooth, press them gently to flatten it a bit and roast / bake for 15 minutes – Roast / bake till one side is brown or black spots come on the litti surface – Then turn over the litti and roast / bake for few more minutes until that side is brown as well – IT IS DONE. When do we come for Litti………..!!!!!!!!!!!!!!!!! Thanks for sharing the recipe with the world… may the litti find its due popularity! Good one…and here in US we welcomed New Year with Litti and “mashed Eggplant” urf Bharta :)….and it goes very well with other liquid diets 🙂 :). I luv LITTI……I have habituated the taste of Litti in my office to all my colleagues…..My office is full of South Indian People and they also know about it because of me…..few of my colleagues recently went to Thailand carrying Litti. I made Littis for them and packed for them, since they are pure vegetarians and last time when we visited there, we had a troublesome time searching vegetarian food there. So this time I suggested themto pack the Littis with them which will last longer….They are really enjoying having them with tomato sauce. Proud to be a Bihari…..the land of Litti….!!!!! O My God ! Really !!! O it;s going places. Thnx for sharing this. wow, it’s gr8. nice to see this. Thanks Neeraj. We have now planned to make Litti on 31st Dec – at our ‘Bharat Club’ function here in Bandung, Indonesia. How sweet! Do send pictures also. I am so happy to know this. Keep rocking, Alok. Litti goes global, now. Wow! Wow……..that’s A brilliant write up neerAj….. Litti S very similar to baati from rajasthan……… Thou the filling and servings r a bit different……. Pretty much the same……. U make and invite us all……hahhahahaahahaa…….. I will surely try mAkin it…… Cheers…. Fabulous eye opEner towards forgotten culture…. Way to go…..